This is one of Wayne County’s best-known landmarks. 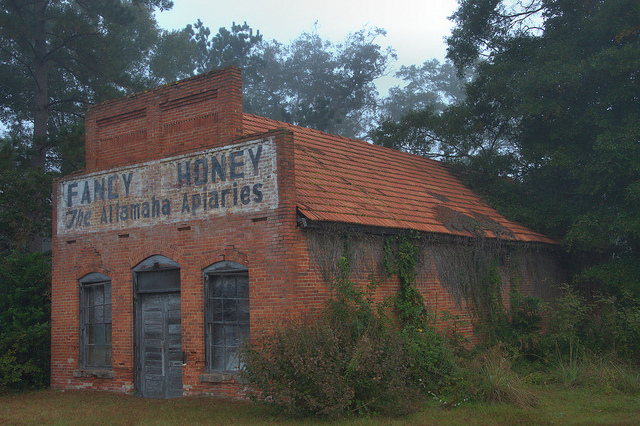 It originally served as a general store and post office; the Fancy Honey sign was added later, probably in the 1940s. Robert A. Richardson writes: Thank you for your interest and the picture of this beautiful old one room church where I grew up in the Summer going to the Richardson family reunions and I regret this tradition has died out due to the death of so many Richardson ancestors. My great-great grandfather David Carter Richardson and my Richardson ancestors are buried in the cemetery behind the church. Before the church was organized there was a community of homes (1830-1860) across the street from the from where the church stands. 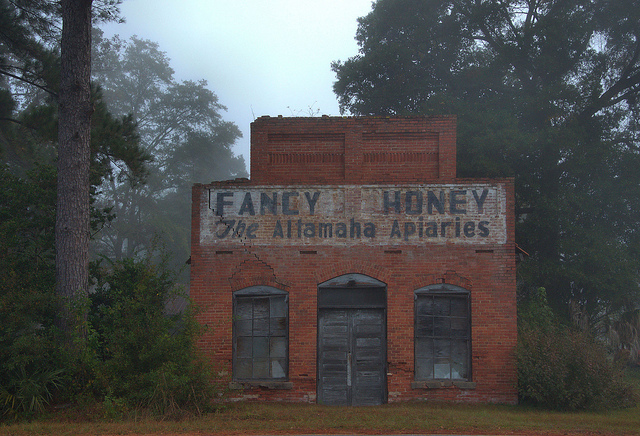 This community referred to as the Gardi – branch of the Altamaha predates the American Revolution and of course the Civil War. This location for the cemetery was chosen by an original pioneer family and their name was Street and allegedly their 14 year old son died while visiting Darien and later Mr. Street died following a fishing trip to the Altamaha and at that time Mrs. Street designated the part of their property as the cemetery due to it the high ground and to avoid flooding of cemetery from the Altamaha. The original “paling” that enclosed the original cemetery still stand and I am trying to figure out some way to preserve them without removing them from the cemetery. 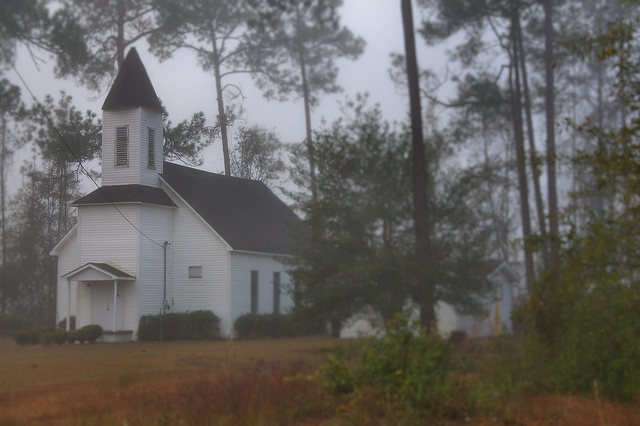 Later the church was formed but had met unofficially for sometime initially in homes then under the oak trees. My great grandfather Aaron Riley Richardson graduated from Mercer University in 1880’s receiving his degree in divinity and became an ordained Baptist Minister. He was one of the pastors at the opening of the church. 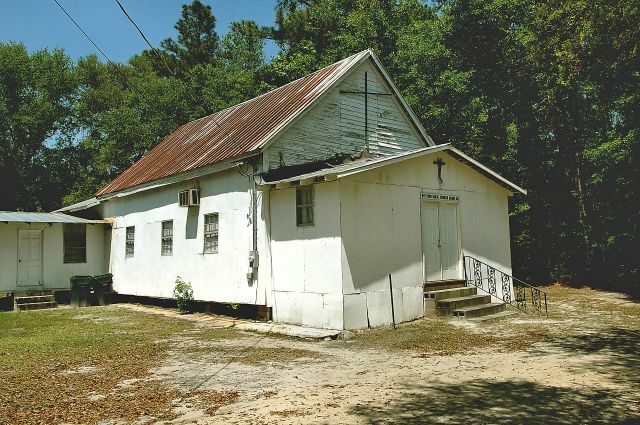 There is also another church Jones Creek Baptist which still stands and my grandfather rode horseback to preach there for over 30 years. They lived on a farm near Gardi and closer to what was known as the Pendarvis train stop. My great aunt Ester used to tell me about stories of buying things from wagons and buses that would come to sell things and how exciting that was and also would tell about horseback artists that would come from Savannah to do portraits which were partially assembled prior to the sitting. These portraits remain in my family and are treasured. Thanks again for sharing your pictures and thereby preserving the history of places that are dear to many. 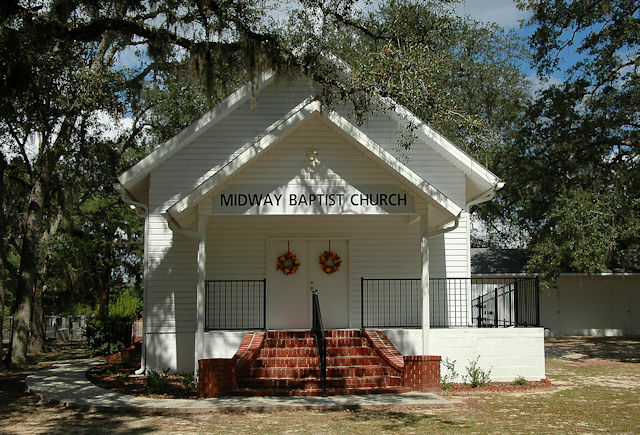 I have also seen your pictures of Boston where my great-great grandfather (A R Richardson) moved and preached at the Primitive Baptist church (this sect of Baptist church did not believe in missionaries at the time other Baptist churches were building their missionary programs and the group of Baptists that disagreed formed the Primitive Baptist churches in Ga. I had always wondered what the Baptist Female Academy in Boston looked liked. I thought it had burned to the ground. My great aunt Esther said that her parents always told her that the school gave its metal roof to the Confederacy during the war to make ammunitions. This is also documented a book about the History of Baptists in GA printed in the 40’s or 50’s.